After graduating from college, you’re ready to take on the “real world.” If you’ve already had a few years living in an apartment, you probably know the basics. 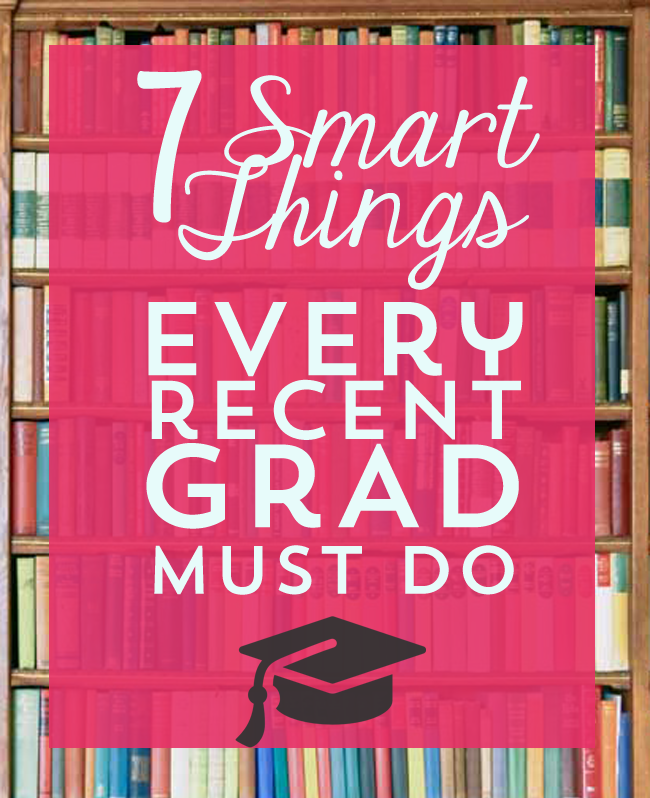 But here’s a definitive list of everything you should after getting that diploma. When you get your first job offer, take a second to negotiate your salary. Women can miss out on $5,000 on their job because they negotiate so much less often than men. Do your research, be prepared and make a case for why you deserve more. If a company wants to hire you, they’ll at least consider it. If you can’t get a salary increase, ask for more vacation days or other benefits like working from home occasionally. If you went without renter’s insurance in college, now’s the time to get it. Most policies cost between $10-$20 a month and if you drive, you can bundle it with your car insurance to get a multi-line discount. Make sure to know what your deductible is and keep at least that amount in savings. That way if your $1,000 Mac laptop is stolen, you can afford the $300 deductible and get enough funds from your insurance company to replace it. Additional tip, be sure to check out deals on car insurance as well! One time my fiance asked me if I felt rich now that I had my first grown-up salary. No, I told him. After saving, making payments on my student loan and spending $200 a month on gas (back when it was $4 a gallon), I had little left over from my $28,000 salary. 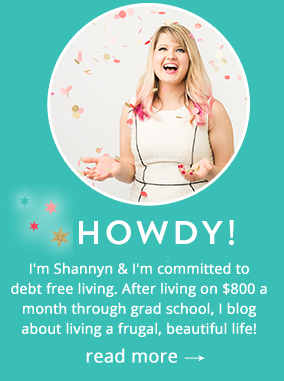 Even though I felt poor, I had created a budget so that I could stick to my savings goals and pay all my bills. I even budgeted some money for fun. Creating a budget can be dreary, but it helps you know you’re on track. Whether you want to pay off your loans in three years (like I did) or save for a two-week trip to Europe with your sister, budgeting will help you figure out how to get there. Now that you’ve graduated, you might have to start making payments on your student loans. Most people take the six-month grace period before they start paying back their loans. If you do this, make sure to gather all the documents related to your loan and make a plan to start paying them back. Research to see if you need to choose a different repayment option or if you can afford to make extra payments. Some people get a big shock when they fill out their taxes. They’re surprised that they owe the federal government or stunned to see a huge refund check. Getting a big refund means that you basically lent the government an interest-free loan for most of the year. Check to see what your withholding should be on your W9 here and make sure that you’re getting as much out of your paycheck as possible. This might seem like an obvious one, but I know people who have moved without setting up mail forwarding. You might miss out on W2’s come tax time or even letters from Grandma, who can’t keep track of your new digs. Get into the habit of writing down the places where you’ve given your address out to – like magazines, utilities and former employers. It’ll make it easier when you score your next apartment. There’s nothing more humiliating than being an adult and having to ask your parents for help when something goes wrong. Prove that you’re a grown up by socking away at least $1,000 in an emergency fund. It’ll be there for you when your car breaks down, when you have to fly across the country for a funeral and when you land in the ER after discovering a new allergy. If your job is unstable, save up at least three month’s worth of expenses. Being an adult can mean more responsibility and more weight on your shoulders, but you also have more opportunities to build the life you want. You can quit your desk job to teach English in China or pursue a side business. The tips above are tools that can help you get where you want to go. I’ve Finally Made My Bucket List… Round 1. Great advice! My biggest lesson after graduating and getting my first “real job” was to rent a cheaper apartment instead of a more expensive, nicer one. I spent years paying higher rent so I could live downtown. I’ve been in a cheaper place for a few months and love it. It’s so important to lower your cost of living, and rent is easily one of the largest expenses new grads have. Good advice! So true! I still regret the year I spent paying $625 for a one-bedroom instead of $475 for a studio. I could have saved so much money! Very nice. I think opening up an emergency fund is a must for everyone, and especially for newly college graduates. Thanks! I think it’s easy to forget that things will happen that you can’t account for. A basic emergency fund can pay for most accidents and catastrophes! The emergency fund is something that a recent grad should immediately start saving on. Instead of buying a lot of unnecessary stuff or luxury items, saving up is the smartest thing to do. It will be your best friend at one point in your life.